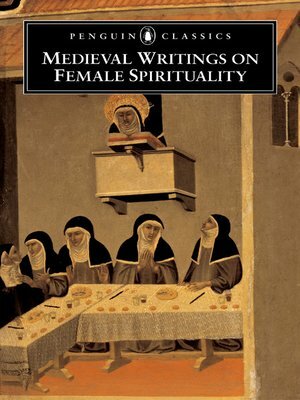 Biographies, poetic compositions, works that are mystical, prophetic, visionary, or meditative: the selections here reflect the developments in medieval piety, particularly in the link between female spirituality and the body. Included are the dramatic visionary writings of Hildegard of Bingen; letters and poems by Hadewijch expressing passionate love for God; and Marguerite Porete's allegorical poem "The Mirror of Simple Souls," a dialogue between Love and Soul that was condemned as heretical. Also included are biographies written by male ecclesiastics of women such as Christine the Astonishing, whose extraordinary behavior included being resurrected at her own funeral; revelations received by Bridget of Sweden, the first woman to found a religious order; and excerpts from The Book of Margery Kempe, in which Margery imagines herself as a servant caring for the Virgin Mary in her childhood. This volume, edited by Elizabeth Spearing, who also prepared some of the translations, features a rich introduction to the lives and religious experiences of its subjects, as well as full explanatory notes.